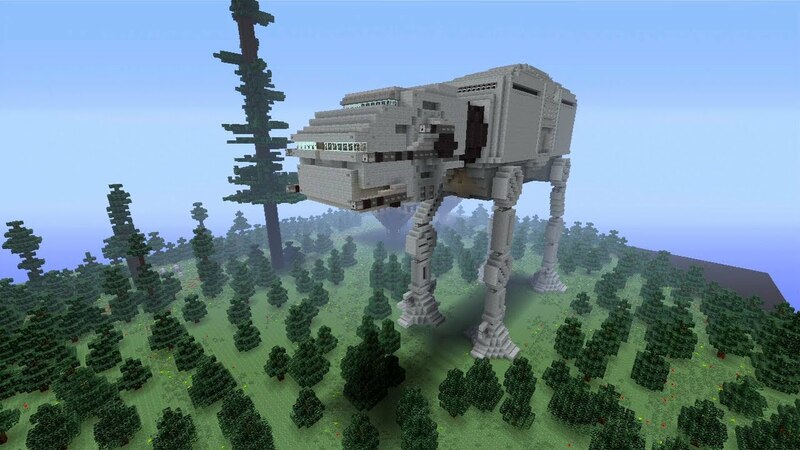 Star Wars and Minecraft each have their own communities of fans and gamers alike. Some pieces and people are separate, but in this case, we can see the two worlds coexist beautifully. Truly, what some Minecraft minds are able to create under the influence and effect of the Star Wars franchise is awe-inspiring. Especially in the wake of the newest outbreak of Star Wars fever, we’re here to inspire you with five Han Solo approved creations that exist in the Minecraft universe today. Placed number one on our list is Han Solo’s beloved Millennium Falcon. Whether you think he would be flattered or infuriated over the many reproductions of his ship, either way, you have to respect every effort. Some merely exist, some have missions, and some are accurate down to their interior design. 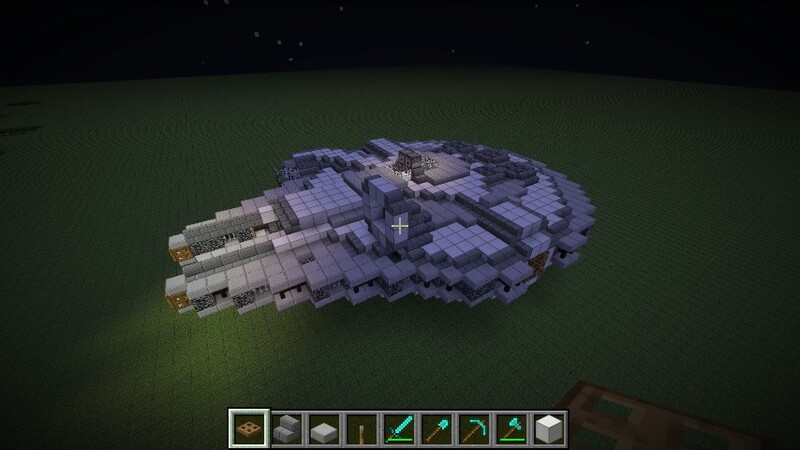 So even though there are many out there for you to explore or play with, this specific rendering of the Millennium Falcon was created by Master Architect and gamer Dr. Thresh. While any successful reproduction of the Star Destroyer might be less significant to Han Solo than that of the Millennium Falcon, everyone else has to appreciate the immensity of such an endeavor. While the quality of each design is different from ship to ship, any successful Star Destroyer that exists throughout the Minecraft universe is to be admired. In addition, user Rannalt built another ship that we particularly prize, along with every other part of his world. In this first segment of the tour video made by YouTube user stampylonghead, you can see the enormity of both the interior and the exterior of the Star Destroyer, his Millennium Falcon, and many other iconic Star Wars images that appear on his map, created in the Xbox 360 version of Minecraft by Rannalt and a team of other players. Also included in Rannalt’s map is the Forest Moon of Endor, the location of the shield generator for the second Death Star and the site of one of Han Solo’s great successes. And while Rannalt’s AT-AT might not be to scale and even though he hid Yoda’s hut in the swamps there, nobody can deny the achievement in his incredible Ewok Village or help but gawk at the beautiful Walkers he built there. 5. Hoth, Sky City, Naboo, etc. From worlds to ships to characters and missions, the Star Wars creations that exist inside of the Minecraft world are just as vast. We love them all, the replicas of Hoth and Sky City, and especially this immaculate recreation of the Theed Royal Palace of Naboo by YouTube user v1sper. While the video is only of the palace, fans will still likely recognize such important rooms as the Queen’s chambers. Now, whether you’re a fan of Star Wars or of Minecraft, any of these creations are worth seeing for yourself. Here at BeastNode we work make that easy by providing competitively priced VPS hosting, web hosting, and dedicated servers to anyone, newcomer or not, no drawbacks. Explore our website for the best Minecraft server hosting and let us help you!